Not much going on around my parts. I had 45 and windy this am. Hope all are enjoying this cooler weather as much as I am. I got .25 from the front and now it has turned cold and windy. It was 37 this AM and it appears we will have a light freeze tomorrow morning. Hope we get more rain from the next front, but I am enjoying the cool down before the heat turns back on. Looks like a hot dry Spring then a hot Summer on tap. Rainfall looks to be equal chances to be above or below normal this summer. I would love to be in New England right now (for a week at most)..... the snow is pouring down up there! San- are you from up North originally? Hey Bills, you're in the game tonight/tomorrow morning! Freeze warnings and frost advisories issued for the area tonight. I'm not in one and hope it stays that way. Forecast low is 36. Pipes were unwrapped a couple of weeks ago. Don't need any surprises if the temps dip lower than forecast. Aug, you know NWS is usually a few degrees too warm on their forecasts with these cold nights. LOL San. I lived in Ohio until I was 21 and I have no desire to see snow. sangria wrote: Aug, you know NWS is usually a few degrees too warm on their forecasts with these cold nights. It has been lately. I've a fire going this evening and a potato soup finishing up. Now time to belly up to the TV and watch some college basketball! BillsfaninSoFla wrote: LOL San. I lived in Ohio until I was 21 and I have no desire to see snow. Blasphemy! lol. I lived in the north half of my life. Loved building snow igloo's. I'd build one today if I could. Lol Aug. Well, you can have my share. Temp this morning was 30.6 SWEET!! I'm also from up north PA. Love the winter weather and the snow. I go north every year hoping to see snow. Sometimes it don't work out that way. 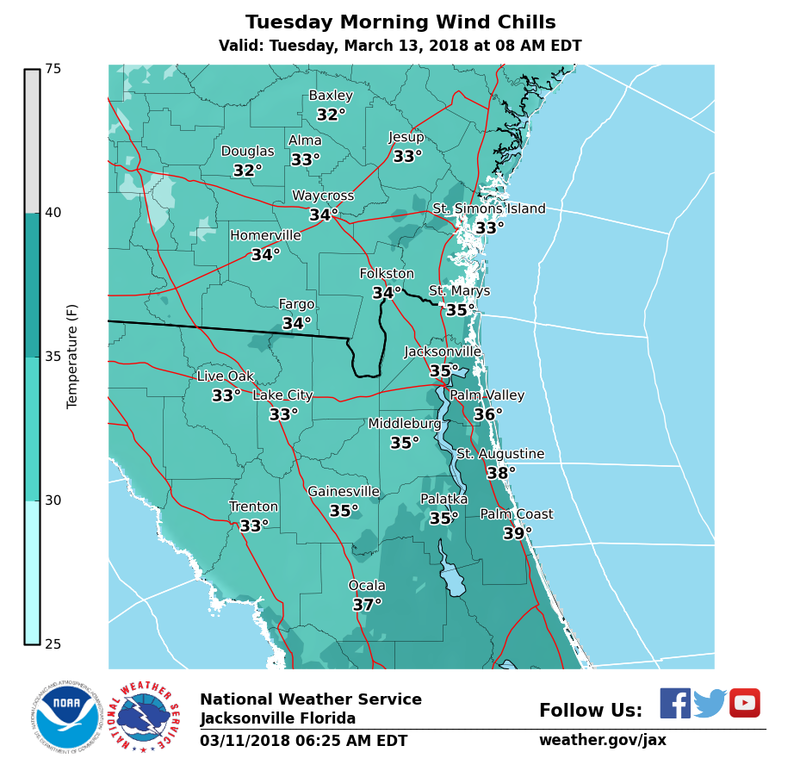 NWS Jax and Tally put freeze warnings out yesterday for Dixie, Gilchrist, Alachua and Marion counties (the counties that surround my county to the north and east), but the "experts" in Ruskin said there wouldn't be a widespread freeze in Levy County. Wrong again. I had 28 degrees this AM at 7 and most of Levy county except the immediate coast dropped below freezing for a couple of hours. Hope the watermelon farmers were ready as they have had their stuff in the ground for several weeks now trying to get an early start. There was a lot of frost in the open fields, but patchy elsewhere as the humidity is so low. Hope we get some rain this weekend and then it is looking like maybe another couple of nights of light freezes/frost next week. Race weekend in St. Pete. The airport runway is the straight away. 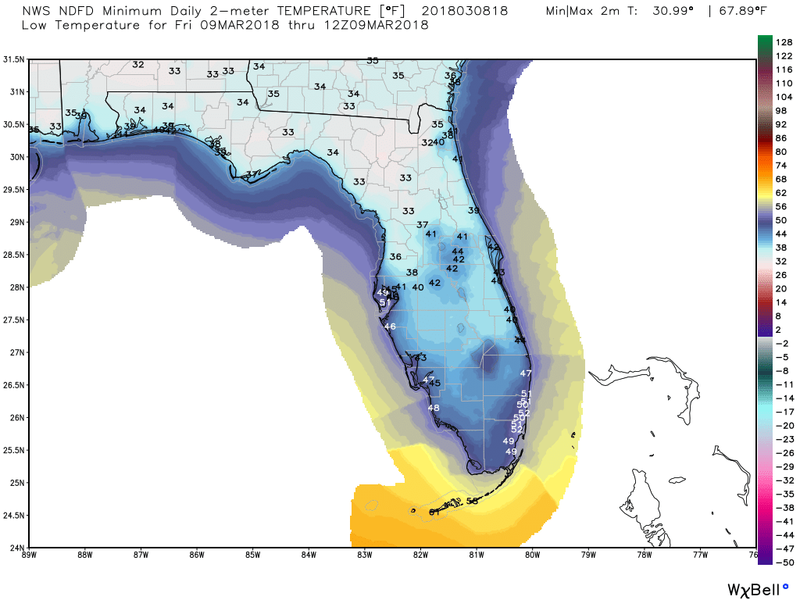 All of the Florida NWS offices underestimate the minimum temp on the really cold nights. I just don't think they have the hang of it down here! I see they are sticking to their guns again tonight... Guess we will see how their "guess" works out again! Bottomed out at 33.1 here according to the nearby PWS. I see Tally has some frost advisories out but looks to be several degrees warmer overnight for all. And TGIF. Hope everyone has a good weekend! Temps look great before the cool down next week. Hi Aug. We LOVE March Madness. We even either take vacation days the first Thursday/Friday or get off work by 11:30. Miami lost in ACC tourney last night, but are safely in the dance. We're looking forward to watching St Bonaventure. They are a great story. Tiny, little school in a small town in Western NY. My hubby grew up about 10-15 miles from it. They have a really good program. Hey bills. The bracketology "experts" on ESPN currently have the Bonnie's projected as a 9 seed. I wish them luck. I like when the smaller schools make some noise and knock off the big boys. Some other schools in that conference have a history of advancing quite far. Remember when UMASS was a national power for a few years? The coming front is bringing a marginal risk of severe with it. Threats are hail and high winds although the risk is quite low. Looks to be late Sunday/Sunday night for the northern half of the peninsula and Monday morning/daytime for the southern half. Nothing to do with weather but I'm a little irritated at the moment. Just got back from Publix. I'm checking out loading my groceries on the conveyor. Still have about 15 items in my cart and some woman bulldozes in behind me, grabs the little dealie bob that separates customers groceries, puts it about 6" behind my items, then proceeds to start piling her crap on the conveyor. No room for anymore of my stuff so I had to hand the rest to the cashier. Little inconsiderate behaviors annoy the heck out of me! I was extremely tempted to say something quite sarcastic but bit my tongue. The rudeness of some people never ceases to amaze me. I jinxed St Bonaventure! Had two key players out with injuries and lost to a good Davidson squad. Should still make the dance I hope. Makes it a bit more interesting. I follow a few different weather peeps on FB and Larry Cosgrove is by far my favorite. 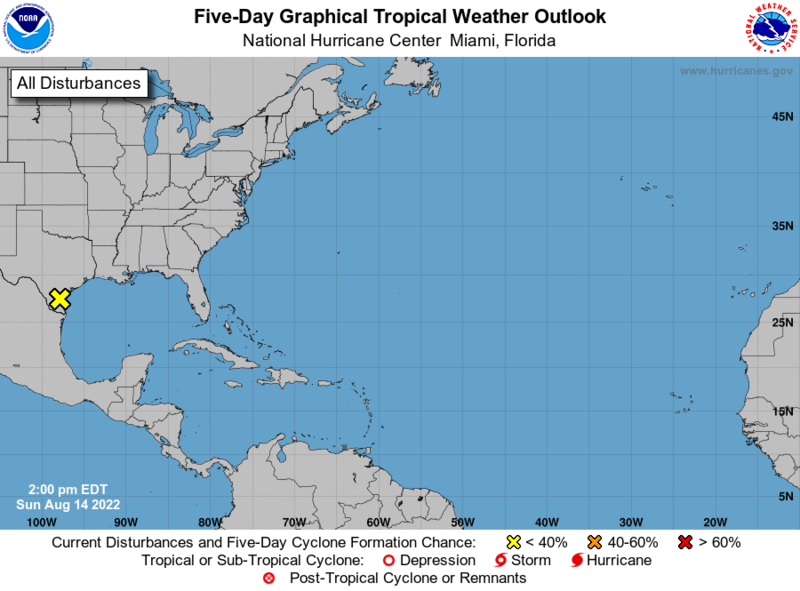 He is a commercial met out of Houston and is very very sensible with his forecasting. No hype! He puts out a weekly report every weekend and I thought I would share the link in here if anyone wants to take a gander. I'm a member of the Google group so I can read them, but not sure if everyone can or not - give it a try. 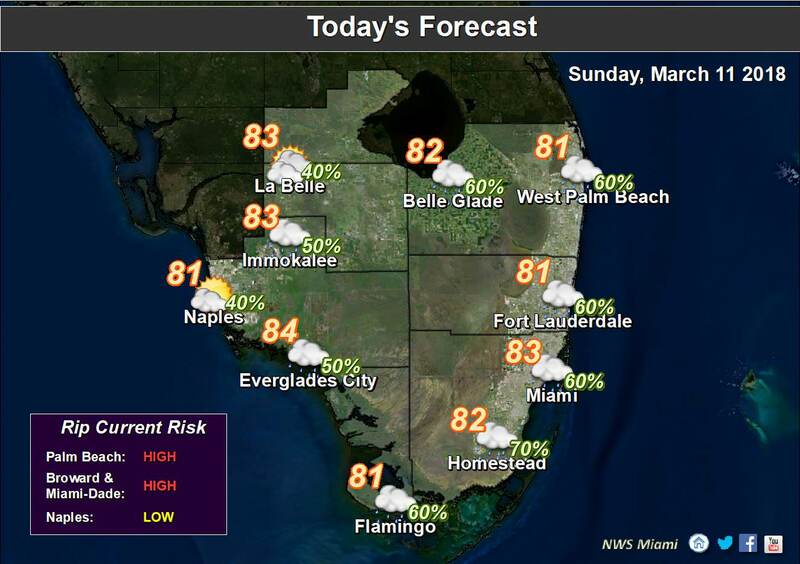 StAugustineFL wrote: Nothing to do with weather but I'm a little irritated at the moment. Just got back from Publix. I'm checking out loading my groceries on the conveyor. Still have about 15 items in my cart and some woman bulldozes in behind me, grabs the little dealie bob that separates customers groceries, puts it about 6" behind my items, then proceeds to start piling her crap on the conveyor. No room for anymore of my stuff so I had to hand the rest to the cashier. Little inconsiderate behaviors annoy the heck out of me! I was extremely tempted to say something quite sarcastic but bit my tongue. You have more restraint than I. I definitely would have said something! Low pressure will move into the Tennessee Valley this evening, dragging a cold front into the southeastern states. Showers and a few embedded thunderstorms will move into interior portions of southeast Georgia and the western Suwannee Valley towards sunset. A few strong thunderstorms will be possible in these locations this evening, with the primary threat being wind gusts of 40-60 mph within stronger thunderstorms. The Storm Prediction Center has placed locations near Interstate 75 within a marginal risk for severe thunderstorm development this evening. Showers and a few thunderstorms will be possible overnight through Monday morning elsewhere, but strong to severe thunderstorms are not anticipated along the cold front as it crosses our region early on Monday. 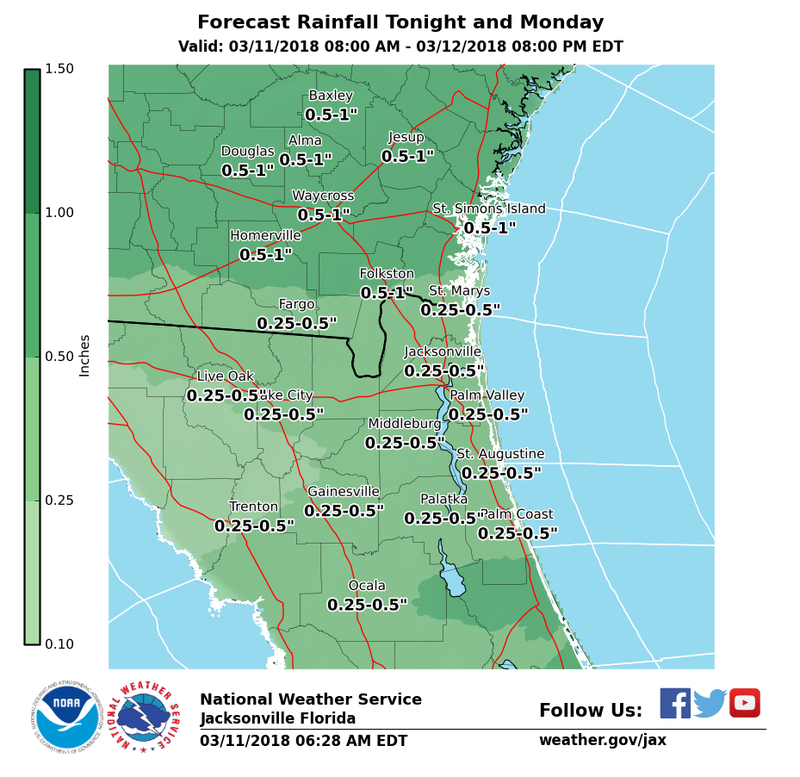 Although significant rainfall amounts are not anticipated with this storm system tonight and Monday morning, beneficial totals of one half inch to one inch are forecast for most of southeast Georgia, with lesser amounts of one quarter to one half inch forecast for northeast and north central Florida. A much colder air mass will then plunge into our area on Monday night, with wind chill values falling to near freezing by sunrise on Tuesday. 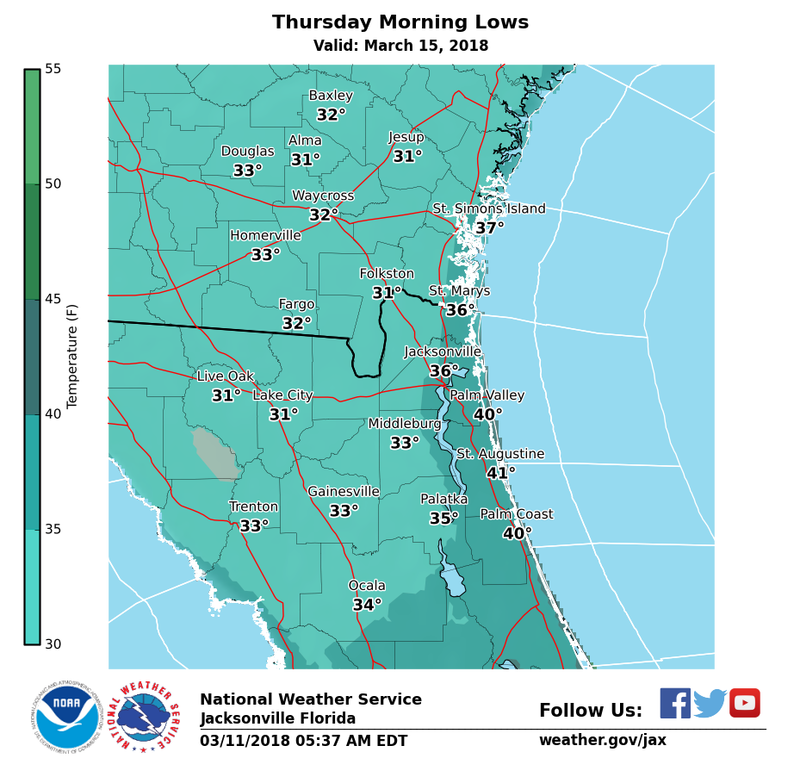 A widespread inland freeze will be possible on Wednesday night and early Thursday morning, with frost also possible in coastal locations. Morning. Yep, the cold cometh again. Hope I can squeeze out at least a third of an inch of rain. The last system was a bust up here with only .04" SPC is mentioning a possible upgrade to slight risk for the southern half of the peninsula tomorrow with perhaps some supercells. We shall see. Thanks for the link San...looks like Cosgrove has a good site. Well it's been a month today since Largo has checked in. Does anyone remember if he made a post that day? BillsfaninSoFla wrote: Well it's been a month today since Largo has checked in. Does anyone remember if he made a post that day? His last documented post was this one from the 1-6 closed blog however I know he did post once on a new one I had created. It (that blog) was later removed due to some of the personal information that was being discussed after he went MIA. I'm still hoping it's a Lent thing . Took the dog for another walk today. Nothing to report. Good day St Pete and all... Hoping for some rain, but no go so far. 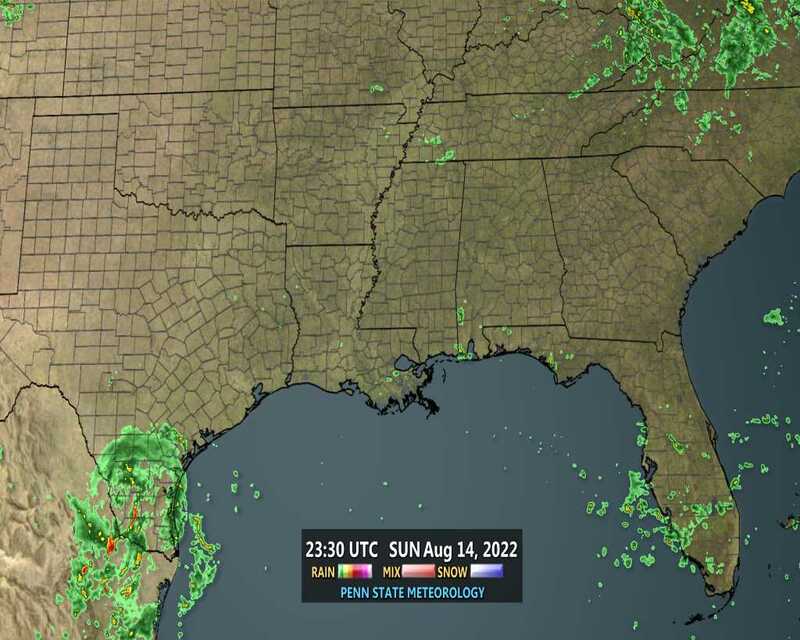 Well, I got hosed again - I looked at the HRRR yesterday evening and it looked like I "might" have had a chance around 11pm and then again at 4am. A big fat NADA was waiting for me in the gauge this morning. I had a few sprinkles around 7:30, but nothing that wet the ground. Good evening .We got one good line that came through and gave us 3/4 inch. Much needed and much appreciated. Cold rain! Got hosed here too. Zippo in the gauge at 7AM then just enough to wet the ground sometime mid-morning. Maybe .03 (I haven't checked the gauge again). Winds have been blowing pretty good this afternoon. Gusting in the 30's. Stoopid nor'easter is hosing up half my weekend. Now I need to work a good majority of the day Saturday due to postponement of activities at Fenway Park scheduled for tomorrow. 12-18" of snow is forecast there tonight through tomorrow night. I had .15 in the bucket from Monday. That gives me .45 in the bucket for the month and 6 inches for the year. Gots to do better than this or the fire danger will be threw the roof come May. Just a trace of rainfall here, but the front sure made it windy and cold yesterday afternoon. Over night the skies cleared out and the wind died down and the low this AM dropped to 34 chilly degrees. Looks like low to mid 60's for highs and low to mid 30's for lows the rest of the week. Need to enjoy it as the heat is coming soon. Good morning! A lovely 52 this morning. Oh my, enjoying this as 6 months of heat and humidity are around the corner. Storm of the century, 25 years ago today. 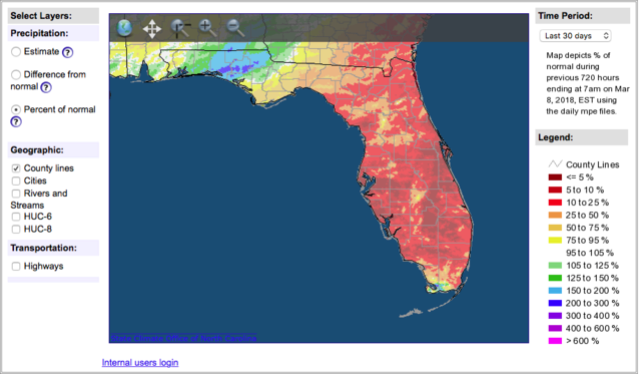 In Florida 44 deaths, 15 tornados, 12 ft storm surge, 6 inches of snow in the panhandle. .07" here for the month and .16" since Feb 12th after a wet January and early February. StPete - I can only imagine the field day social media would have with a present day Superstorm 1993. That was an epic storm. Thanks.for the reminder of that storm . Such an awesome, albeit destructive storm . We lost power for a day or so. Good morning all. What an impressive satellite shot on the Storm of the Century. I remember it well. Yesterday was a cool, raw day here as we never got out of the 50's and the wind picked up off the water in the afternoon making it feel cold. A chilly 37 here this AM and it looks like we are forecast to possibly have our last freeze of the winter the next couple of nights. We have already had 3 nights of sub freezing temps and 4 nights of frost this month without a watch or warning from NWS Ruskin so they must really think it is going to get cold tonight with this watch being put up. waterdipper wrote: Good morning all. What an impressive satellite shot on the Storm of the Century. I remember it well. Really cooled down last night my low was 31.3 with mild fog this morning. Was surprised it got so cold. Any colder and it will nip the buds off the blooming trees. I also remember 1993, I was in it in south central PA. Lots of thundersnow with that storm.